In 1966, the U.S. Supreme Court affirmed the right to remain silent during the now-famous court case Miranda v. Arizona. But last month the Court redefined the process of invoking one’s Miranda rights. In Berghuis v. Thompkins the Supreme Court ruled, in a 5-4 split, that one must declare that she or he is invoking her or his right not to speak to police either before or during a police interrogation. The ACLU had argued, in a friend-of-the-court brief, that the police should not be allowed to interrogate a suspect who has not clearly waived her/his Miranda rights, and that in this case the suspect’s repeated refusal to answer police questions over several hours demonstrated that he had not waived his rights. Justice Sotomayor also addressed several other concerns with the new ruling in her dissent, such as the fact that “these principles flatly contradict” earlier decisions from the court and “At best, the court today creates an unworkable and conflicting set of presumptions; at worst, it overrules sub silentio an essential aspect of the protections Miranda has long provided.” (New York Times, June 1st, 2010). It has been shown that long hours of questioning can lead to false confessions, often after a defendant has become exhausted. For example, in Ashcraft v. Tennessee a “confession was obtained near the end of a 36-hour period of practically continuous questioning, under powerful electric lights, by relays of officers, experienced investigators, and highly trained lawyers.” By no means, however, does it always take 36 hours of straight questioning to obtain a false confession. 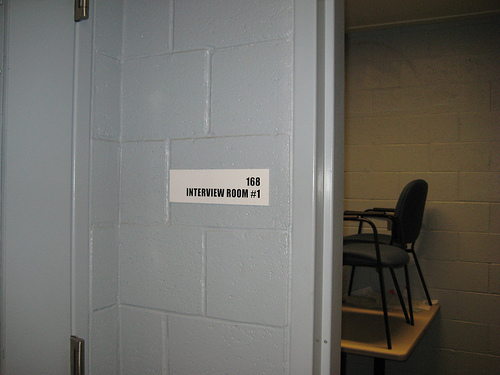 To compound the intensity of an interrogation scenario, police are trained in techniques that are meant to trick and coerce the average unprepared citizen into confession, sometimes guilty and sometimes not. Given these powers and practices of the police, a proper Miranda warning is needed to protect individuals. Berghuis v. Thompkins could be the beginning of slippery slope, one that endangers our civil liberties. Let’s hope it does not go any further.